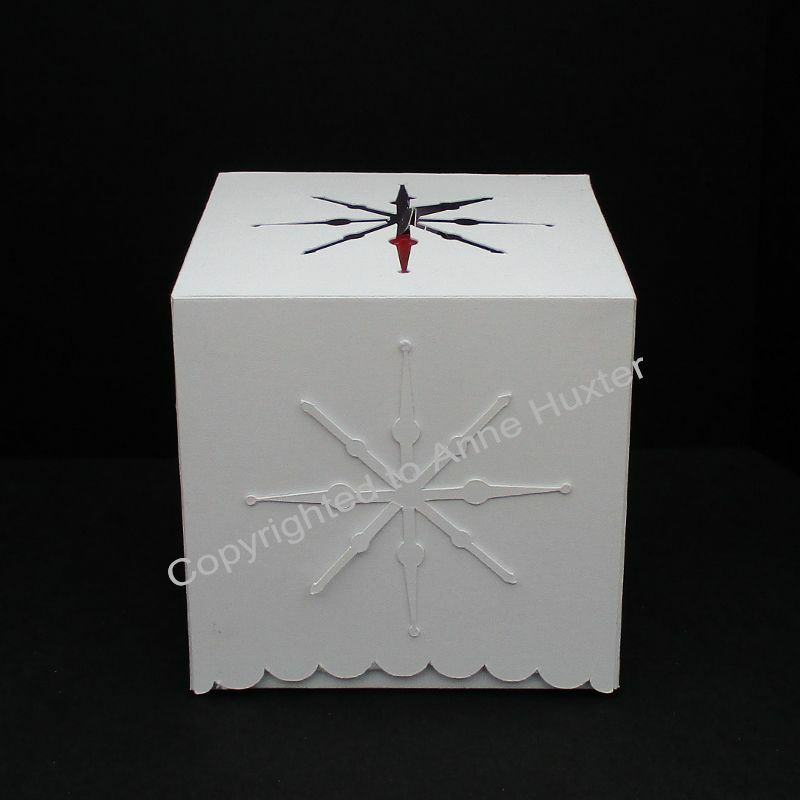 This bauble box has a cut out of a snowflake on the top, which I used to decorate the front section of the lid. 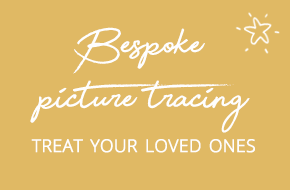 The top and lid lift completely backwards to show off your finished bauble to perfection. 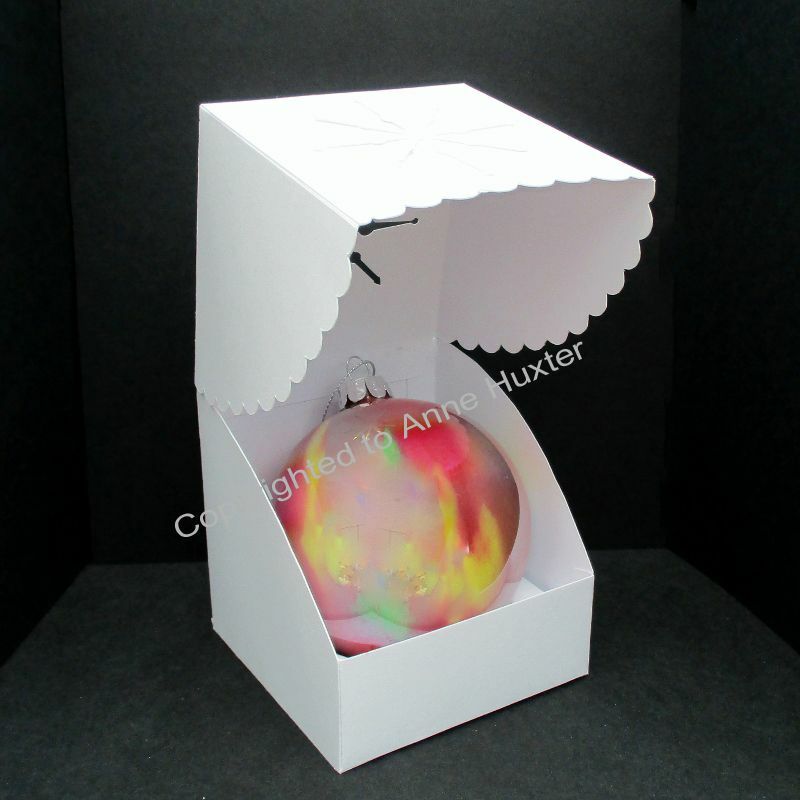 It has an insert in the base which helps to keep you bauble secure inside the closed box. Comes with 2 variations of the lid, one with a fully scalloped edge around the sides and front and one with scalloped sides and a half moon cut out to the front to aid opening. This would also be ideal for gifting a cupcake of a similar size. 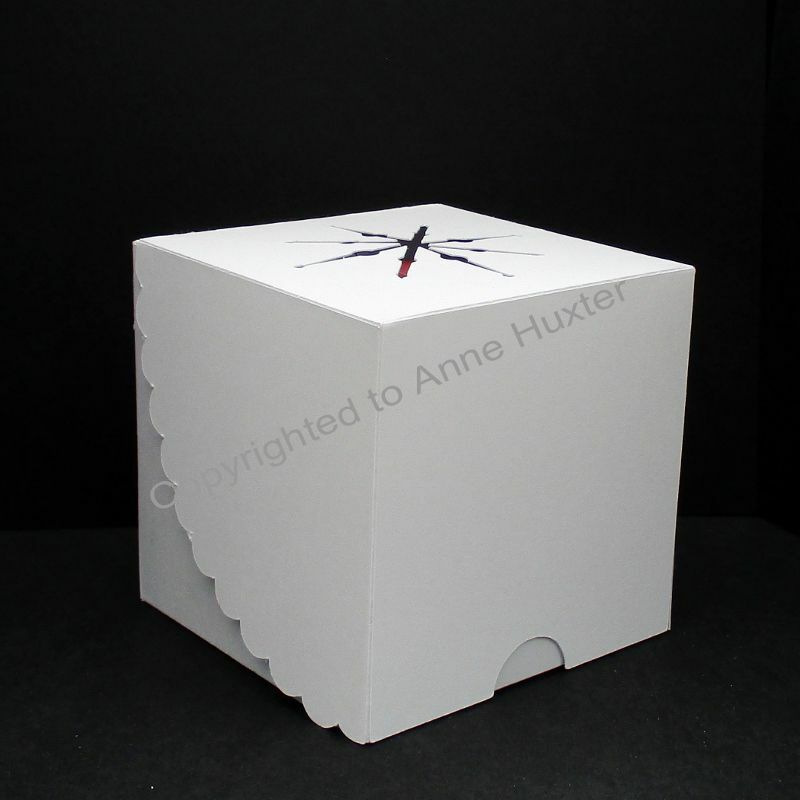 Overall measurements of the box are approximately:- 85mm square. Comes with picture and words instructions. Lovely boxes which I will be using for glass baubles. I had to try a few thicknesses of card stock until I found 210 gsm was suitable for a sturdy box. The inserts gave added security. Would be fab' for cupcakes too. 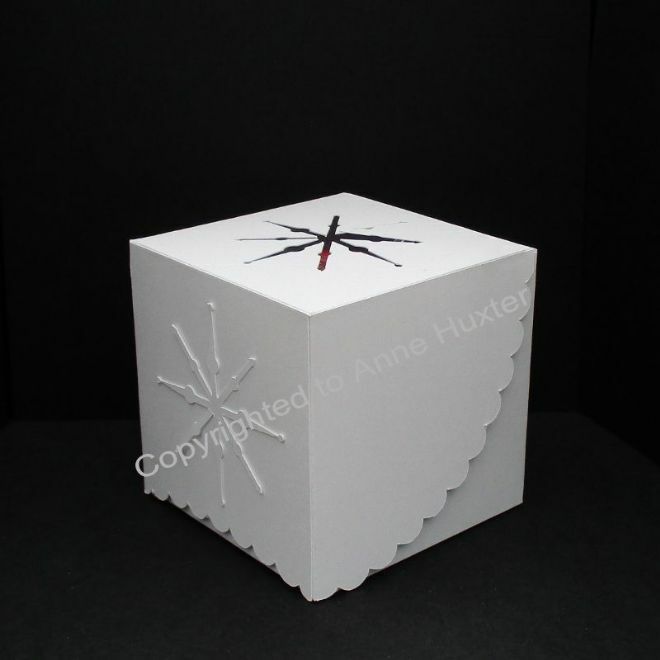 I also used the inserts templates for some larger kraft boxes which I already had and adjusted the sizing to fit.